Without a doubt this is the best chili mix! What's for supper? Pick up a bag of this chili mix and your whole family will be happy on a chilly evening! A great stocking stuffer as well! Our popular Texas Chili Works, dressed up in a drawstring bag with an added packet of flavors. Can't think of what to give Dad? Here's your answer. It's a gift that is sure to make you mighty popular. 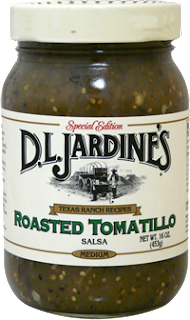 Roasted Tomatillo Salsa is a feisty alternative to traditional red salsas. In fact, here on the ranch, it's a fast favorite for fire-roasted flavor. Distinctively delicious, D.L. 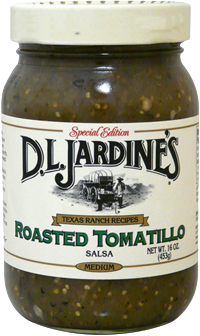 Jardine's Roasted Tomatillo Salsa is perfect for dipping, marinating or making chicken enchiladas. If you haven't ever tried a green salsa, there's no time like the present, and there's none better than this one. 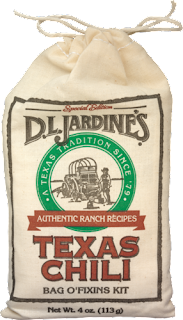 The uses for our most popular cheese sauce are as wide open as the Texas range. 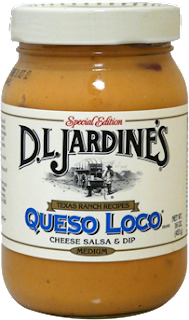 Serve it straight from the jar as a dip, dress up your baked potatoes or add a dollop to your hamburger to give it some extra attitude. Tastes terrific over broccoli and other vegetables, too. Snack time? 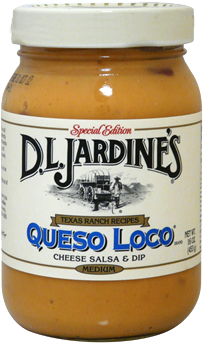 Zap some Queso Loco in the microwave, pour it over some nacho chips and watch them disappear. 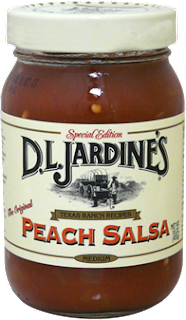 We take a Texas Hill Country tradition of delicious sun ripened peaches and combine them with the smouldering fire of jalapeño peppers to bring you this amazing taste sensation. D.L. 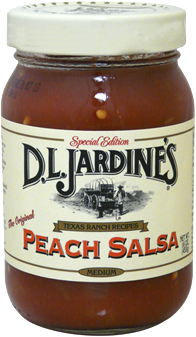 Jardine's award-winning fiery sweet Peach Salsa brings another level of excitement to peaches and traditional salsa. How sweet it is!